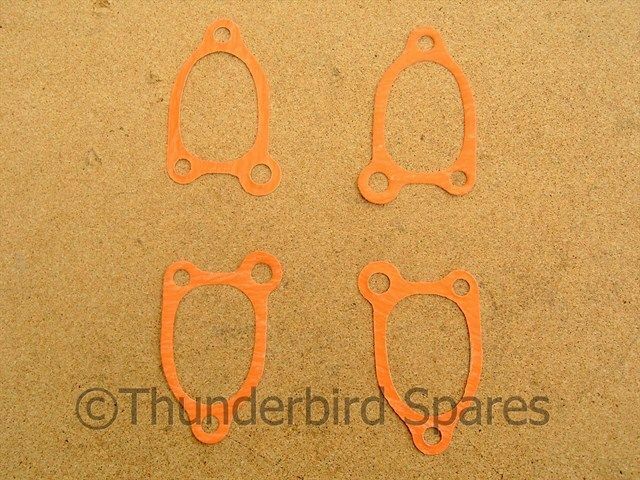 This is a set of four new good quality rocker box gaskets to fit the all the Triumph 5T and 6T models from 1939-1960 that used the cast iron cylinder head. Also fits Tiger T100 for 1969-1950 only (iron head models). Original part numbers was 70-1650 (E1650). 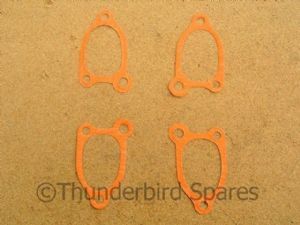 They are made in England, please note that the colour of the gaskets can vary from the photo.